Curt Cress, born in 1952 in Schlierbach Germany, is a drummer and composer. In 1965 he started his musical career with the band Last and played later on with the bands Inspiration Six and Orange Peel. 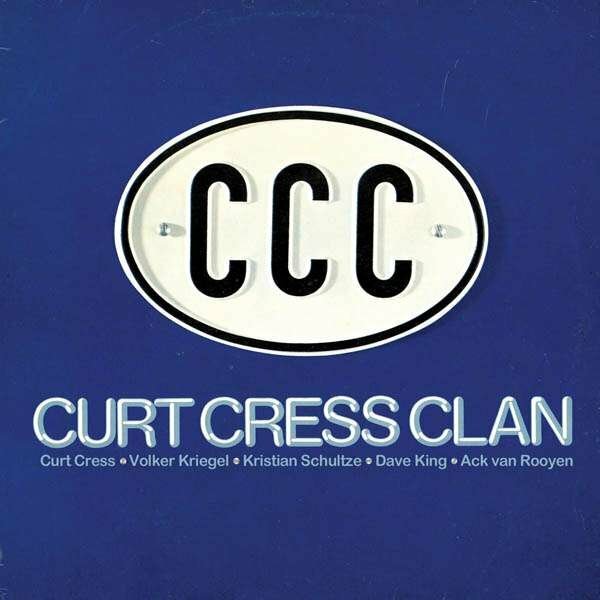 In the 70's Cress played with Klaus Doldingers Passport, and created then his own bands Snowball and the Curt Cress Clan, both bands playing an interesting dynamic Jazz Rock with a strong funk influence. He worked as a session musician fore Falco,Saga, Michael Cretu, Scorpions, BAP, Meat Loaf , Freddie Mercury, Tina Turner among others and as a producer for Uwe Ochsenknecht, Claudia Cane and Heiner Pudelko. In the 90's he started to compose for TV and the movies and since 2006 he is a professor at the Hochschule Für Musik and Theater in Hamburg. He received 15 times the Drummer Of The year award by the German magazin Fachblatt.